For more information about Religious and Theological Studies, contact Dr. Steve Rodenborn, Chair. The Bachelor of Arts in Religious and Theological Studies at St. Edward’s investigates the meaning and purpose of life in religious traditions. This major prepares students for a variety of professional roles, including teaching within a church-based elementary or secondary school, a program coordinator for a church, an editor, and much more. Major Requirements: The Bachelor of Arts in Religious and Theological Studies requires 34 hours of major courses. Core courses provide a solid foundation and are complemented by courses in particular areas of interest; for example, world religions, systematic theology, biblical studies, or other areas within the discipline. Electives: Students complete 6 hours of elective courses in a Religious Studies. View and download the full degree plan for our Religious and Theological Studies major (PDF). Introduction to Christian Morality – This course will investigate the foundations of Christian morality contained within Scripture, natural law, church tradition and various theological systems. Introduction to Religions of the World – This course examines the historical development of the five major religious traditions of the world: Hinduism, Buddhism, Judaism, Christianity and Islam. History of Christian Theology I – This course introduces students to the development of Christian theology from the end of the first through the fifth century. What do the Torah, the Prophets, Latin America and the Yiddish Renaissance have in common? All these topics come up in the classrooms of Prof. Richard Bautch, author of several monographs and edited volumes (included Covenant in the Persian Period: From Genesis to Chronicles), editor of the Catholic Biblical Monograph Series, and chair of the Persian Period program unit within the International Society of Biblical Literature. Professor Bautch encourages his students to apply insights from the past to today's significant social questions. 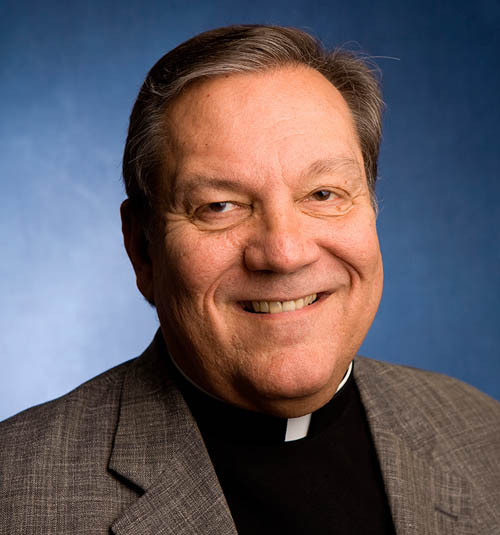 Founding Director for the Center of Religion and Culture, Fr. 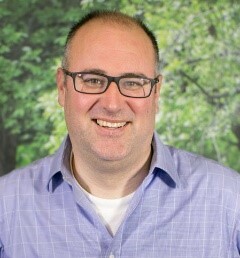 Brusatti's expertise includes pastoral ministry, spirituality, world religions, and ethics. Students appreciate Fr. Brusatti's courses on Vatican 2, his leading study programs to Thailand and Malaysia and his mentoring them in their internships and academic and life journeys. Fr. Brusatti has received multiple grants from the Council of Independent Colleges, and serves on the Mission and Ethics Committee for the Seton Family of Hospitals, Seton Cove Board and St. Michael’s Catholic Academy Board. In addition to teaching courses on early Judaism and Christianity, Prof. Coblentz Bautch can be found exploring through her research angels, demons and apocalyptic literature. As president of a national honor society, author, and member of editorial boards, Prof. CB enjoys helping her students reach for the stars through the pursuit of their own academic goals. Dr. Rodenborn is fascinated with the history of modern systematic theology. 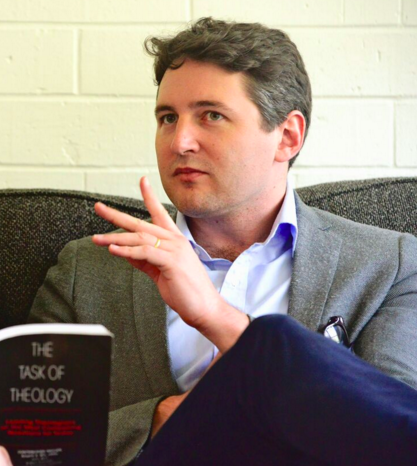 He is the author of Hope in Action: Subversive Eschatology in the Theology of Edward Schillebeeckx and Johann Baptist Metz, which explores the emergence of political theology. Most semesters Dr. Rodenborn, also Director of the Honors Program, can be found teaching Introduction to Catholicism and working with students as they explore ways to link their intellectual passions with their plans for the future. Dr. Rodenborn has taught in study-abroad programs in Montreal, Rome, Florence and Angers. Researching in global contexts such as Denmark, Norway, Israel, and Palestine, the Rev. Dr. Veninga spends her time thinking about how religion and theology relate to contemporary issues of justice, violence, and peace. The author of Secularism, Theology and Islam: The Danish Social Imaginary and the Cartoon Crisis of 2005-2006, her current project focuses on collective trauma, memory, and the theology of witness. Dr. Veninga also enjoys writing about Danish theologian Søren Kierkegaard and how his existentialist thought might inform these challenging issues. When he’s not teaching Basic Christian Questions or Science and Religion, Professor Gary Slater, author of C.S. Peirce and the Nested Continua Model of Religious Interpretation, focuses on how digital technologies can enhance classroom teaching. His research focus is ethics, specifically the ethics of migration, technology, and the environment, with an interest in addressing problems of communication within and between religious and political communities. In sum, he's interested in finding ways to help students "think bigger" while also respecting difference. Students majoring in Religious and Theological Studies will have a variety of opportunities to engage outside the classroom, augmenting their experience in the program. The Red Bench is a dialogue program centered on moderated small group discussions designed to be respectful, safe, and engaging. No one is expected to be an expert on the topics, but all are invited to share from their personal experiences and listen with their hearts. Campus Ministry partners with iACT (Interfaith Action of Central Campus) to bring this program to campus. At this speaker series, students enjoy a free lunch while engaging in conversation with speakers who share their own experiences of living out their faith as adults beyond college. Students are encouraged to participate in service-learning trips to other countries, participate in Alternative Spring Break, become a social justice peer minister, work with Campus Ministry and participate in missionary projects. Graduates of this program often pursue advanced degrees. Many have become college professors, ministers, social workers, doctors and lawyers. Students graduating from St. Edward's have attended leading graduate schools, such as Notre Dame, Yale, Duke and Harvard. Of the students who have pursued graduate studies after their time at St. Edward’s, 100% have been accepted into graduate programs. Students who wish to earn a Religious and Theological Studies minor must take the following coursework, totaling 19 hours. Students must take one 2000-level course and two 3000-level courses. Learn how Religious and Theological Students students developed a videogame about the motivation and choices of prophets.